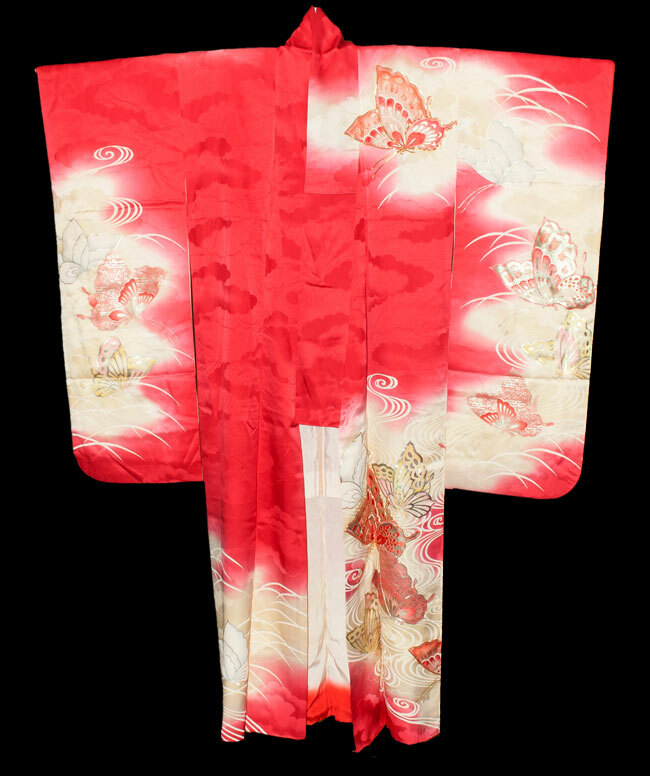 Kimoyes item: 21461 - Very pretty orange silk lined girl's kimono with flower and wing design. 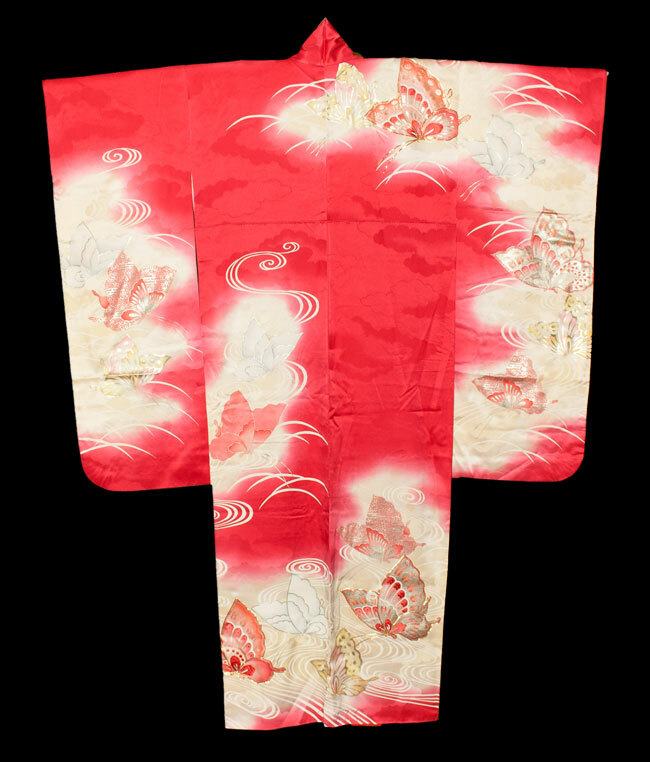 Very pretty orange silk lined girl's kimono with flower and wing design. 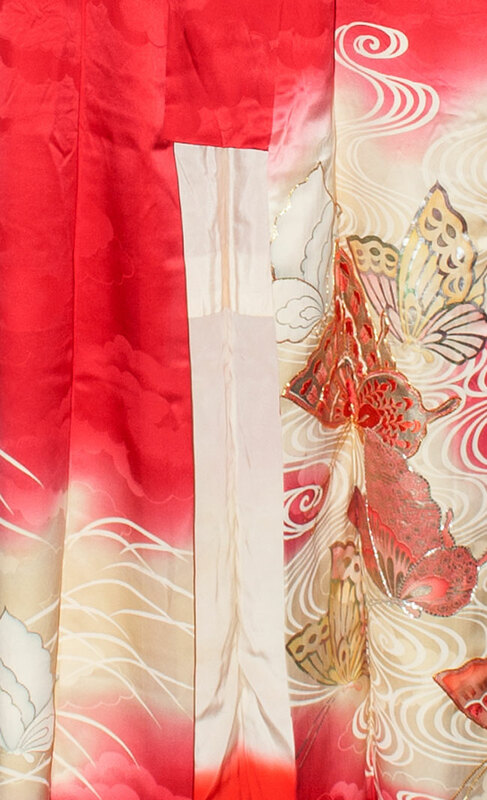 This kimono is for an older child. It is about 48 inches in length and 42 inches from cuff to cuff. Lots of hand applied gold couching.